HOW CAN A BLACK PARENT GIVE BIRTH TO A WHITE CHILD? Skin colour is a very strong example of genetic influence. It depends on the amount of the pigment melanin found in the skin cells, and this amount is predetermined by the genetic blueprint of each cell. There are an infinite number of different skin colours, known as phenotypes. These range through black, dark brown, brown, light brown to white skin. Each expression of melanin has an accumulating effect on skin tone - in other words, the more there is in each parent's genes, the darker that person will be. Therefore, a baby's colour will usually depend on the predominating amount of melanin in their parents. 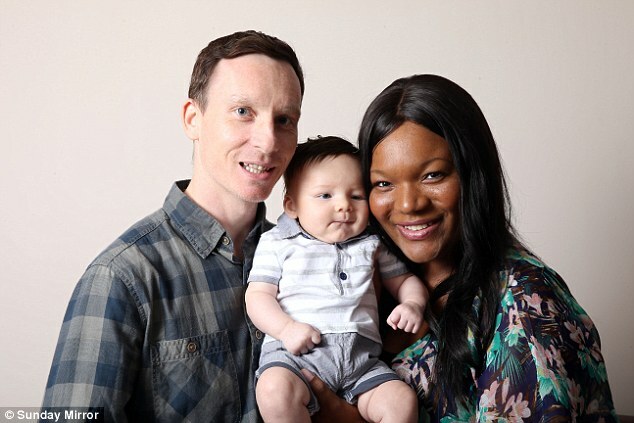 Although again, it is possible, though fairly infrequent, that dark-skinned parents give birth to a pale-skinned child, or vice versa, if their own parents or grandparents are paler or lighter than they are. If i was the one that gave birth to the kid, i would probably freak out before i start reasoning logically. What would you do if it was you? Come to think about it, since the dad was white there was a great chance of giving birth to a white kid. Maybe their next child would be a black kid. As long as the kid is healthy and they are happy i guess it doesn't matter.